LOS ANGELES – The Los Angeles County Board of Supervisors voted unanimously Tuesday for a mobile asthma clinic for children in the Antelope Valley with limited access to asthma-related care and medications. The Antelope Valley Breathmobile program is expected to launch by spring 2019. The local program will be developed in coordination with the LA Breathmobile program, which was established in 1995 as the first mobile pediatric asthma management program in the nation, based out of LAC+USC Medical Center. Supervisor Kathryn Barger, who authored the motion, said the Breathmobile program has been successful throughout most of the county. She said 85 percent of patients achieved “well-controlled” asthma by visit three to the program, with a 96 percent probability of achieving control by visit six. “The one place it is not expanded yet is in the Antelope Valley where I would argue it is needed most,” Barger said. In the Antelope Valley, childhood asthma prevalence is 14.2 percent, which is nearly double the countywide childhood asthma prevalence rate of 7.4 percent, according to the Los Angeles County Department of Public Health. Additional data shows that 69.6 percent of children with asthma in the Antelope Valley report having to miss one day or more of school or daycare due to asthma; and 34.2 percent of children in the Antelope Valley report an emergency room or urgent care visit due to asthma. “The Breathmobile will play a critical role in expanding access to all children by bringing these programs to schools. It will provide access to prescription medications to help keep asthma under control and provide valuable education materials to minimize the triggers of asthma in the home environment,” Barger said. 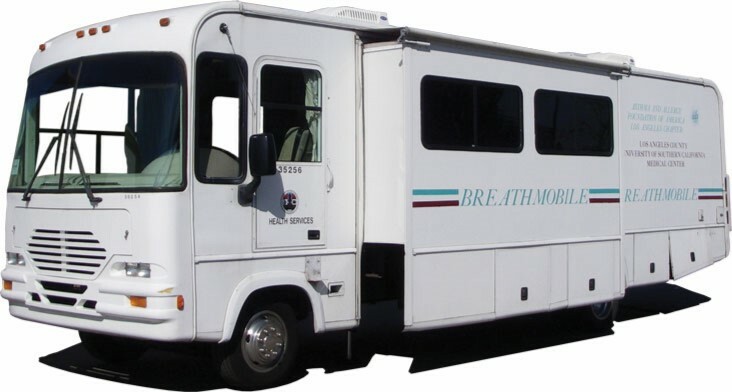 The County’s Department of Health Services already has a Breathmobile van able to be deployed, but in order to initiate operations in the Antelope Valley, the County would need additional staffing to support specialized asthma services — including a specialty-trained asthma provider, one registered nurse, one certified medical assistant, and two community health workers, according to the motion. The Antelope Valley Breathmobile will be based out of the High Desert Regional Health Center, and the staff will provide asthma specialty services both in the mobile clinic and at the facility. “The Breathmobile has provided some wonderful services to the rest of the county, and it is time for us to ensure that the children of the Antelope Valley can receive these services as well,” said Supervisor Sheila Kuehl, the motion’s co-author. Supervisors directed the Department of Health Services to develop a program budget and staffing plan for an Antelope Valley Breathmobile program and to submit the plan to the Chief Executive Office in 21 days.